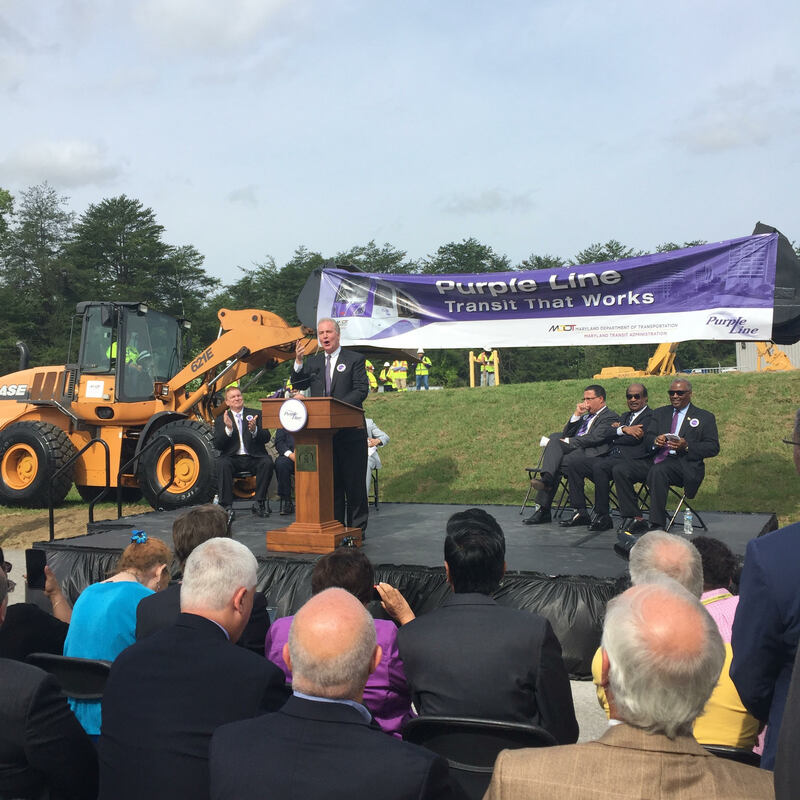 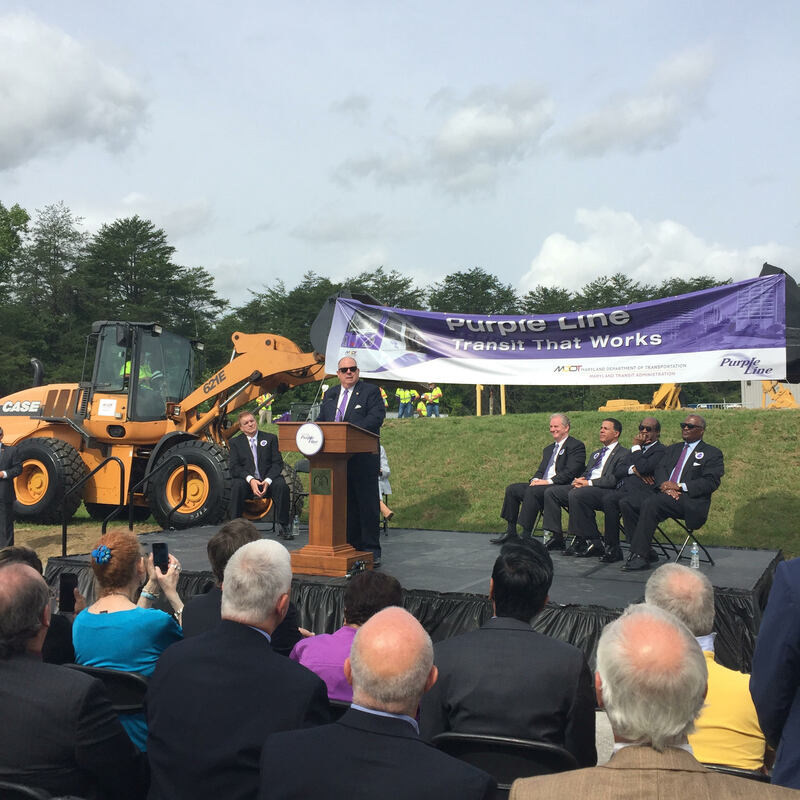 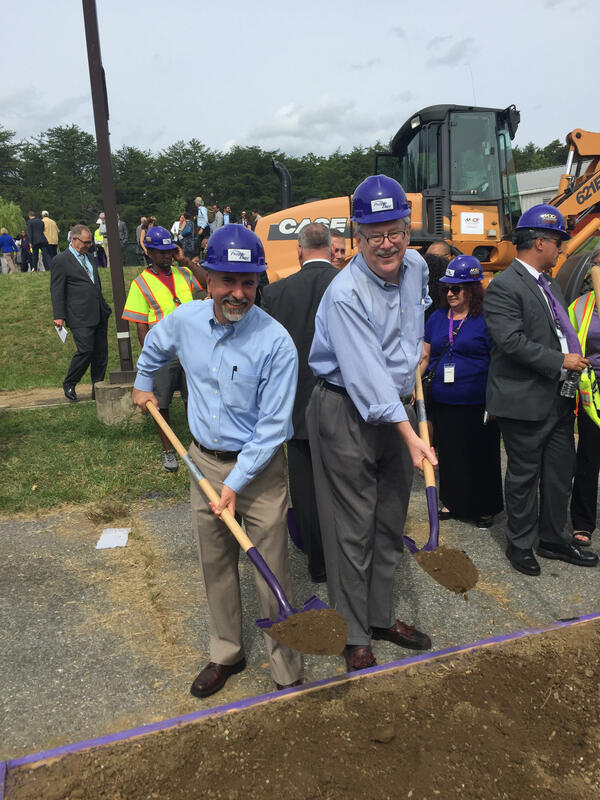 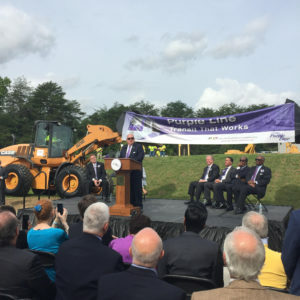 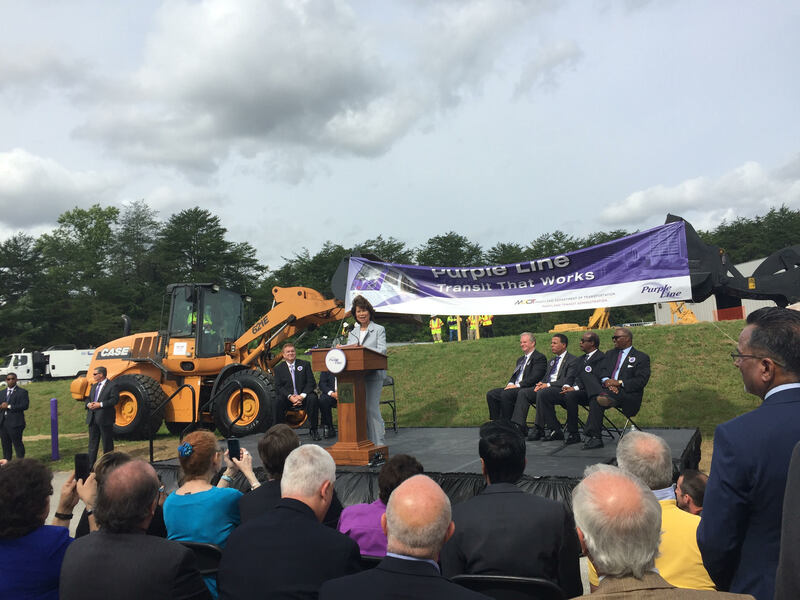 On August 28, 2017, we celebrated the $900 million full funding agreement between the State of Maryland and the federal government, as well as groundbreaking for the long awaited Purple Line! 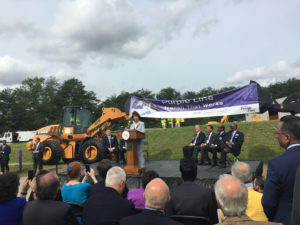 U.S. Secretary of Transportation Elaine Chao, Governor Hogan, Senator Van Hollen, County Executives Baker and Leggett and Congressman Brown joined citizen activists, elected officials, and others in the groundbreaking. More than 20 years and countless hours have been spent bringing this light rail to this point. 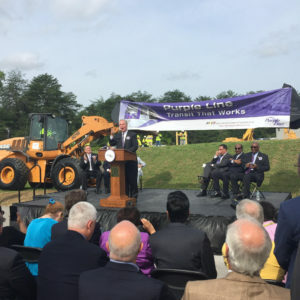 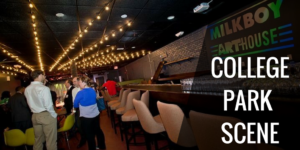 The line will connect College Park to four spokes of the Metro system, to MARC and Amtrak trains, and to Bethesda, Silver Spring, Langley Park, Riverdale Park, and New Carrollton. 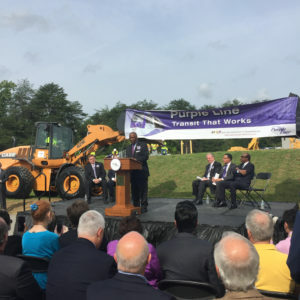 This will take traffic off our roads, promote economic vitality, benefit the environment, and increase our connection to the world.